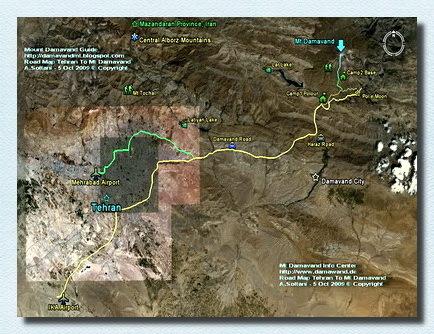 Download the full size maps in jpg format. 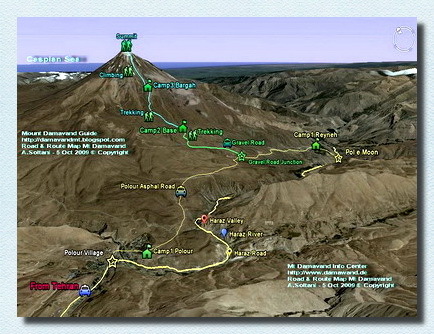 The maps shows the best footsteps of Damavand south route which is the most popular side of the mountain and many climbers prefer this side because of its mild slop, fine shelters and huts and easy accessibility from Tehran. 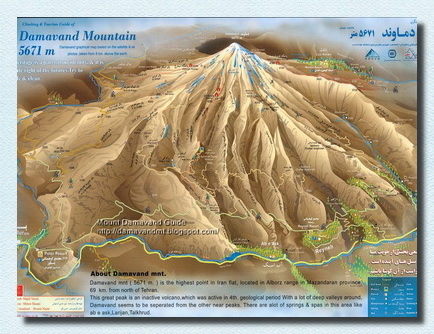 Download the full size images in jpg format in Damavand Info Download Page. 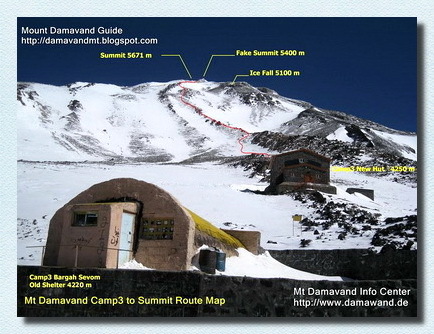 The best starting point for the south face or the west side is Camp1 Polour Hut. 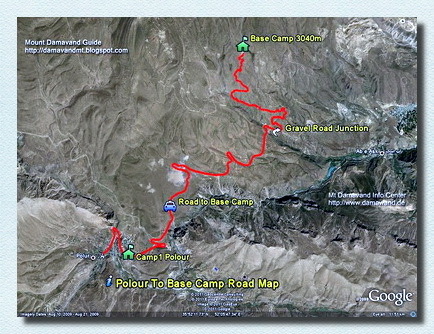 Tehran> Haraz Road> Camp1 Polour> Camp2 Base> Camp3 Bargah Sevom> Summit. Please note these maps are free of charge and for educational purpose only and not for sale. All Rights Reserved. © 2012 Mt Damavand Forum. All the material on our websites and weblogs are protected by copyright. 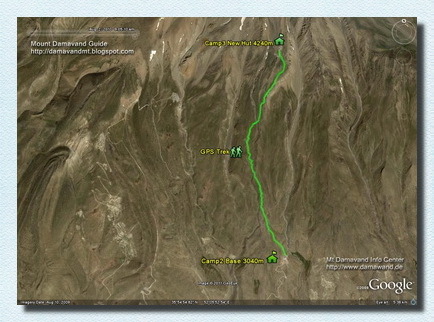 Ardsolo [at] gmail [dot] com, with the title Mt Damavand Map in the email subject. (Gravel Road, by car in summer and walk in winter). 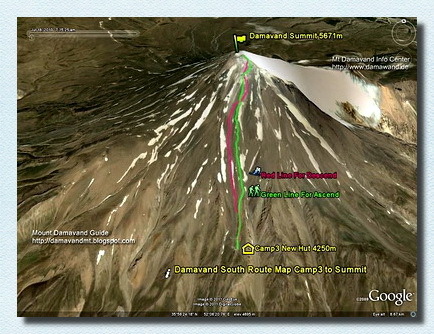 Mt Damavand South Route Map Camp2 Base to Camp3 Bargah Sevom. Current time: 26-04-2019, 08:49 AM Powered By MyBB, © 2002-2019 MyBB Group. Theme created by Justin S.